A ten-member committee had visited Bhima Koegaon and compiled a report, but members have now clarified that it was not compiled in an “official capacity”. Mumbai: The Pune rural police on September 12 issued a public notice refuting claims made by a section of the media and said it had never set up a committee of civil society and anti-caste activists to look into the causes behind the violence that broke out at Bhima Koregaon near Pune on January 1. The notice came days after a few media houses reported that inspector general of police (Kolhapur range) Vishwas Nangre-Patil had set up a committee whose findings pulled up the police for their alleged inaction during the violence against the Bahujan masses gathered at Bhima Koregaon. The report said that the violence was orchestrated by two Brahmin Hindutva leaders Milind Ekbote and Manohar alias Sambhaji Bhide. While it turns out that a ten-member committee had visited the spot and compiled a report, the members have now clarified that it was not compiled in an “official capacity”, but was part of their “social commitment”. The ten members included lawyers, anti-caste activists and politicians working across Maharashtra. Pune city’s deputy mayor Siddharth Dhende, also an Republican Party of India (Athawale) leader, had headed the committee. Advocate Rahul Makhare, who was part of the fact-finding team, told The Wire that the report was an outcome of a meeting that was arranged with Nangre-Patil on January 9. “At the meeting, it was decided that a group of activists would cooperate with the police and ensure justice is done to the Dalit Bahujans who were attacked while on their way to Bhima Koregaon. A few of us then came together and also conducted a fact-finding exercise and compiled the report,” Makhare said. 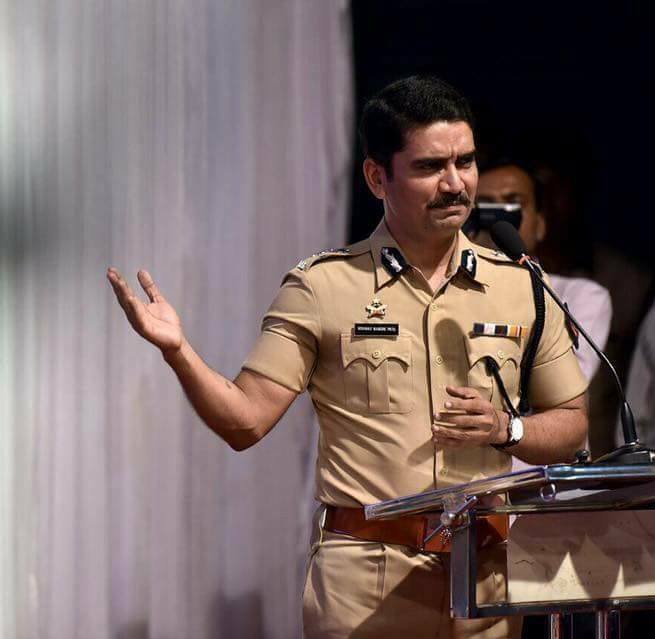 The decision to draft a fact-finding report, Nangre-Patil told The Wire, was not that of the police or any other state department and was solely an independent exercise. Nangre-Patil said over 300 persons, mostly belonging to the Dalit community, had visited him on January 9 in a public meeting organised to understand the extent of violence. He said, “The community had expressed their fear of backlash from the Brahmin- savarnas. Since Bhima Koregaon violence had happened on such a massive scale, it was only normal for the community to feel afraid of more backlash.” He further added that the community representatives had shared their experiences of working on the field and expressed that things were getting worse. “I appealed to them that they help the police in further investigations and other measures to ensure law and order in the district. 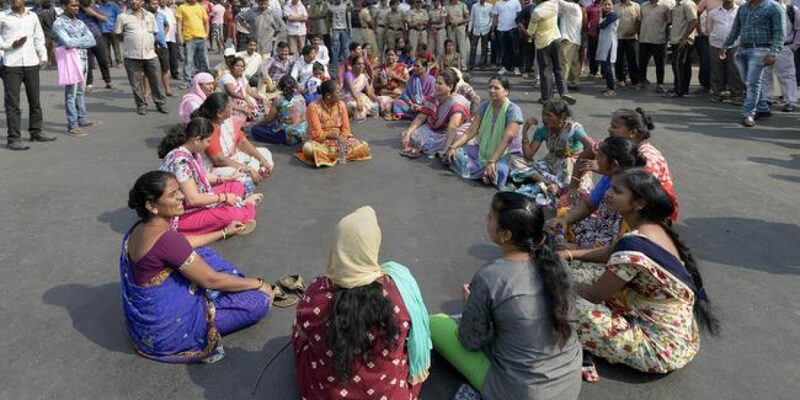 Since it was not possible to include all 300 of them, I asked for ten representatives from the community who could assist the police,” Nangre-Patil claimed. He added that he was not aware that this committee had on its own carried out a parallel investigation and claimed that they were appointed by him. “Only later when a report was submitted, I got to know about it. It reached me through post. First, I don’t have the authority to appoint my own committee and second, how can I possibly allow one community to investigate, especially when the entire issue is about caste violence? We would be immediately castigated for siding with one community,” Nangre-Patil claimed. The report was compiled within a few weeks and was sent to Nangre-Patil’s office on January 20. Another member of the committee, who requested anonymity, said members of the fact-finding team had their own differences and terms of reference were not clearly laid out. “It was essential to go to the community and hear their stories. We mentioned them all in the report. But all this was carried out as an emotional exercise,” he said. According to the report, the police had “deliberately failed” to curb the violence and that some policemen, who were dressed in plain clothes, had walked along with the attackers and had not intervened even when the mob had turned violent. This mob was carrying saffron flags, according to the victims who testified to the committee. The report further points to inflammatory messages circulating on social media, which strongly hint at a conspiracy. Ekbote, who often visited Vadhu Budruk village near Bhima Koregaon, would instigate the Hindu youth against Dalits, the report says. Vadhu Budruk has historical importance, as king Sambhaji’s (son of king Shivaji) samadhi was built here, reportedly by a man named Govind Gaikwad (who belonged to a Dalit community) who carried out Sambhaji’s final rites after others failed to come forward fearing backlash from Mughal king Aurangazeb. Gaikwad’s samadhi is built next to Sambhaji’s and people visiting Bhima Koregaon usually also visit Vadhu Budruk to pay homage to both Sambhaji and Gaikwad. While the findings of the report are essentially based on testimonies of people attacked at Bhima Koregaon and eyewitnesses, and the findings are scathing, Makare says the team was aware that it has no legal standing. “Having said that, it is important that the community leaders reach out and report the real story,” he said. A similar exercise was also carried out by another independent inquiry initiated by anti-caste activists and social groups. Justice (retired) B. Chandra Kumar of the Hyderabad high court, along with two district judges of Maharashtra, J.H. Dongre and Manik Mhakre, had travelled to Bhima Koregaon and nearby villages, recording exhaustive testimonies of the victims, bystanders and police on duty. It also came down heavily on the police, particularly the then superintendent of Pune police (rural) Mohd. Suvez Haq, for its “inaction and inability to control the mob” that had unleashed violence on the huge gathering of Bahujans at Bhima Koregaon outside Pune on January 1. No action has been initiated against any officers and Haq has been transferred twice in the past nine months – he was first sent to the state’s Anti-Terrorism Squad, and in August was sent to the CBI on a four-year deputation as a superintendent in the Anti-Corruption Bureau. Justice Chandra Kumar’s report has already been submitted to the state appointed two-member judicial commission headed by former chief justice of Calcutta high court J.N. Patel and former chief secretary of the Maharashtra government Sumit Mullick.